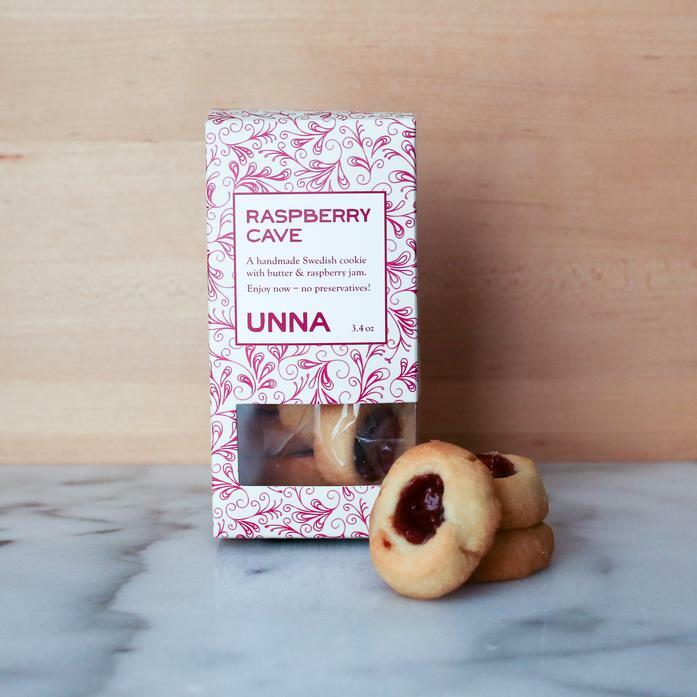 The buttery, crumbly raspberry cave is mandatory on a Swedish “fika”. A “fika” is a quick break with coffee and often a cookie. Ingredients: Organic flour, sugar, organic butter, vanilla, baking powder, and natural raspberry jam.